The 2016 Silver Panda is the first year for the new weight system for this very popular series. 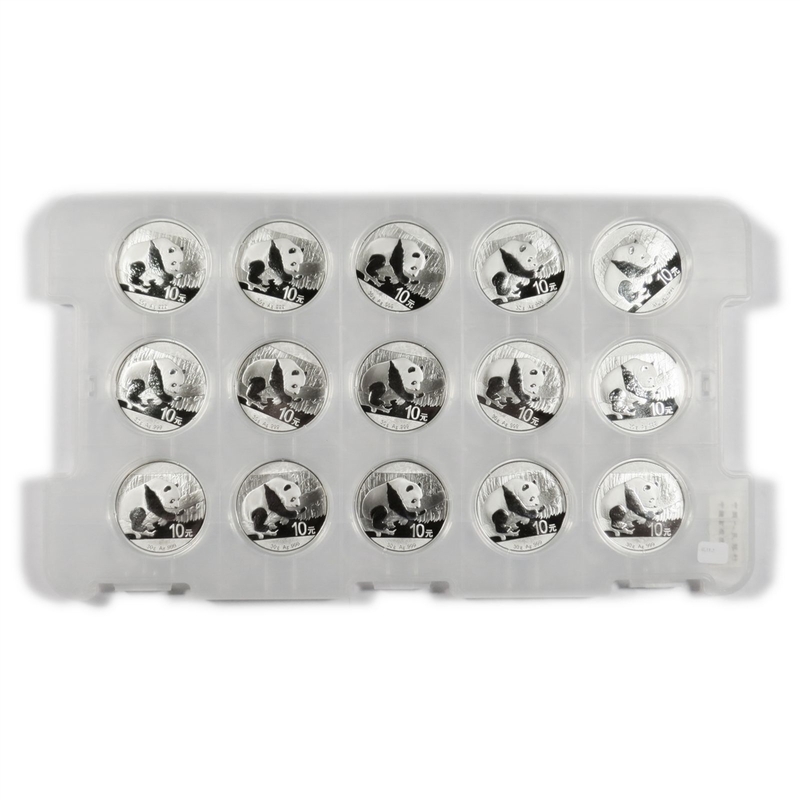 The Panda coin contains 30 grams (.9645 oz) of .999 fine silver. 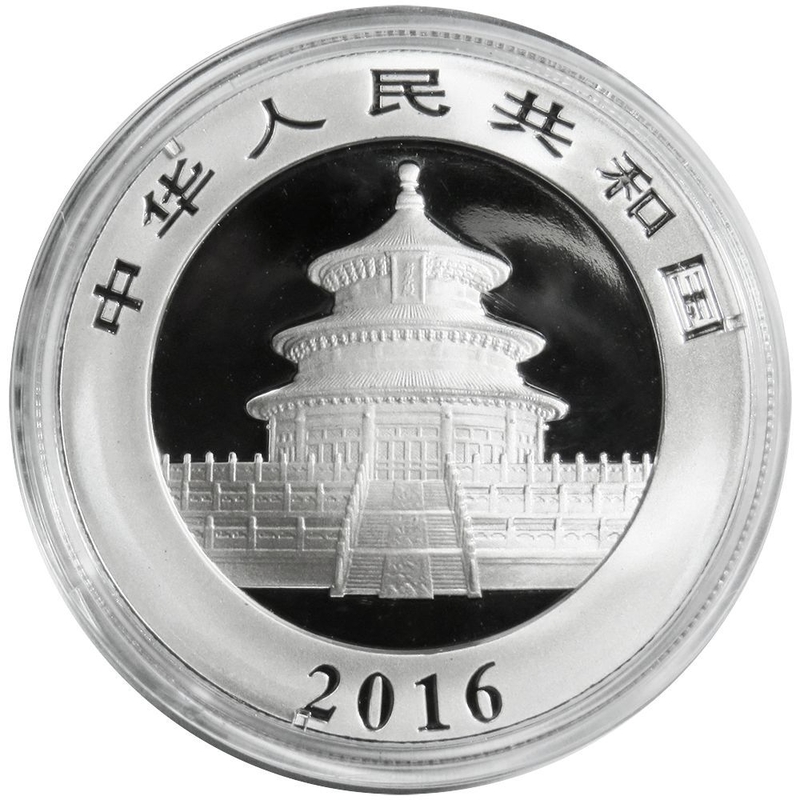 The obverse depicts the hall of Prayer for Abundant Harvests in the Temple of Heaven in Beijing . 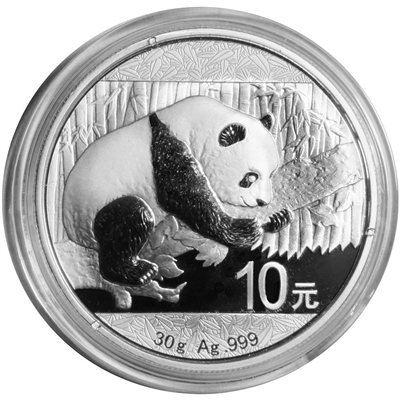 The reverse features a single panda resting on a tree branch. Your panda will come in a 2 1/2 x 2 1/2 plastic flip for protection or if you purchase them in quantites of 15, get them in an original rack.